Indiana Gov. Mike Pence reversed a previous position and announced on Thursday that he will seek federal money to help expand a pre-kindergarten program for disadvantaged children. Human Services, inquiring about federal funding. Pence strongly advocated for the state's existing On My Way Pre-K pilot program, which was launched across five counties in 2015 and has since sent about 2,300 low-income children to preschool at annual cost of about $10 million. 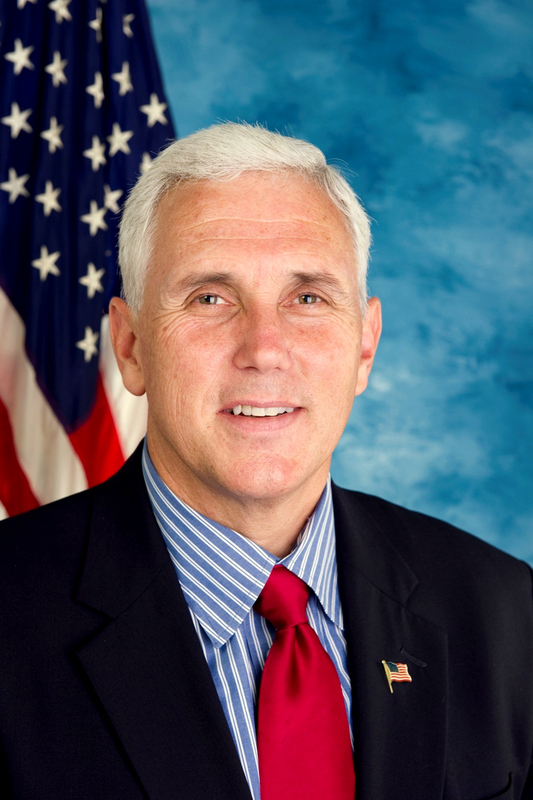 But many early education supporters were surprised at the time when Pence, whose name was being floated as a possible GOP presidential candidate, announced he would not seek $80 million in federal pre-kindergarten funding amid lobbying from religious conservatives, tea party groups and a network of home schoolers opposed to accepting the federal money. Since then, the state's pre-K program has proven popular, though the majority of families who applied have been turned away because demand has outstripped funding. At the time, Pence said his administration decided not to seek federal funding because it would have required "us to expand our pre-K pilot before it is even up and running." The Governor's position is that it would have been foolish to commit the state to taking federal dollars until the state saw how the pre-K pilot program was working. Contrary to the Democrats' claim, that is a reasonable position. The problem though with taking federal money is that those dollars come with tremendous strings attached. Although only about 7% of the dollars spent on public school K-12 education in the United States comes from the federal government, the feds use that miniscule funding level as leverage to force local schools to comply with an assortment of requirements, including most recently the Obama administration's restroom mandate. In voting to spend millions of dollars on pre-K, city-county councilors ignored studies showing early childhood education doesn't work. A independent and comprehensive study of Head Start commissioned by the Department of Health and Human Services found that the program offers no long term benefits. Last year that 2005 study was updated to look at high v. low quality Head Start program and still found it made no difference...there was still no lasting impact. Applying these analytic innovations to the experimental HSIS evaluation data, we find little evidence that Head Start’s impact varies systematically by the level of quality in the program for the available, limited quality measures. The frequency of statistically significant differences in impacts by quality levels is no greater than one would expect to observe by chance alone when no true differences exist. The one exception to this pattern is the discovery that, for 3-year-olds, lower exposure to academic activities is associated with more favorable short-run impacts on social development. There is almost no indication that either high or low quality Head Start in any dimension leads to Head Start impacts that last into third grade for either age cohort, consistent with the overall findings of the Head Start Impact Study not disaggregated by quality level. You have to look at the preponderance of the evidence. Better high school graduation rates, social and emotional stability, less crime and other results speak for themselves. Not one of the studies that has suggested long-term positive impacts of center-based early childhood programs has been based on a well-implemented and appropriately analyzed randomized trial, and nearly all have serious limitations in external validity. In contrast, the only two studies in the list with both high internal and external validity (Head Start Impact and Tennessee) find null or negative impacts, and all of the studies that point to very small, null, or negative effects have high external validity. (Emphasis supplied.) In general, a finding of meaningful long-term outcomes of an early childhood intervention is more likely when the program is old, or small, or a multi-year intervention, and evaluated with something other than a well-implemented RCT. In contrast, as the program being evaluated becomes closer to universal pre-k for four-year-olds and the evaluation design is an RCT, the outcomes beyond the pre-k year diminish to nothing. I have never had any doubt a voluntary pre-K program would be popular with parents. Why wouldn't it be popular? It is, after all, essentially publicly funded day care. But taxpayers, who would balk at paying for day care, are easily duped into believing there are long-term educational and other benefits to pre-K when in fact the credible studies out there simply do not show those benefits exist. So the nanny state is just a more expensive nanny. It is an election year and Mr. Pence seeks to extend his office job for another four years. He thinks this would be of benefit to him and as before that is always his main consideration. Throwing money away in this manner is something the Walrus would do in a heartbeat so why not beat him to the punch? It is only an annual cost, to begin with, of $500,000,000 a year and the pride of the Indiana Chamberpot of Commerce desires it....they also desire, as usual, that they don't pay for any of it. I'm thinking that R & D Tax Credit is a pretty expensive budget item that does not benefit Hoosiers very much, if at all. It is expendable, and since amoral business corporations have been lying to us about RFRA who is to say that their reasons for desiring universal Pre K are not also self serving lies? Indiana does not need a weak governor but the perception persists that nearly everything is over Mike's head. Excellent analysis and helpful facts but that is lost on the city council which enacted the pre-k at a $4 million taxpayer funded expense. When I contacted each and every one of them with similar facts along with the argument it is not the job of the city to fund a pre-k experiment with taxpayer dollars, one of the responses was that it was considered a "moral duty" to enact this and and other such nonsense. Now here we go with Pence. I wonder if this goes through if Indianapolis will still be on the hook to continue to provide our local tax dollars on this. http://journalofamericangreatness.blogspot.com/p/who-are-we.html More writing like this and less Pence crap? It is typical Governor Mike Pence to say one thing and then do another. This was true with Common Core (now College and Career Ready Standards - a new name), the RFRA and three days later the FIX. I wish he had a spine. I will have to vote for him for governor because I won't vote for a liberal democrat. I will do it quickly so the pain will be bearable. You can see a lot of media bias in how this story is reported, or in fact any story with Pence is reported. You need to write more articles like this about Pence and stop trying to score points with this lowlife! How much money was wasted on gay marriage? On denying abortion services? On the Planned Parenthood conspiracy? On religious freedom/discrimination? On legal fees on those topics? You're fine with that but not helping poor kids? Yeah, you're good people. Keep telling yourselves that.